Lola is working as an intern in Stiwdio Maelor during July 2015. Having recently graduated from Aberystwyth University in Fine Art, specialising in Stone Lithography, the dominating focus for her work is rooted in the landscape. She makes sketches of places seen on long walks and travels around remote places, and takes these back to the studio to translate into lithographs. As she has been learning Welsh for the last two years, she has travelled around parts of Wales, on foot, sleeping bag in one hand and sketchbook in the other, learning about the culture, history and people. This has fed into a lot of her work, particularly the series completed of waterfalls completed for her degree show this year. During her degree at Aberystwyth Lola completed two residences (Joya in Spain, and Stiwdio Maelor in Corris), set up 2 student exhibitions, participated in numerous exhibitions with local groups and been accepted into a Recent Graduate Show in Cirencester. 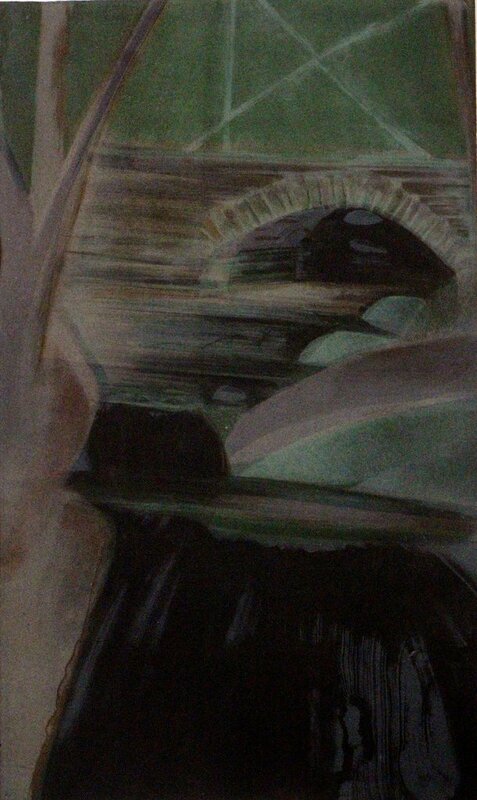 She is returning to Cumbria; hoping to run lithography classes from a local workshop in Ulverston later this year. Lola spent a week in Corris on residency in January 2015, and took up the chance to come here again to gain some experience working at Maelor; to see how a residency is run first-hand. 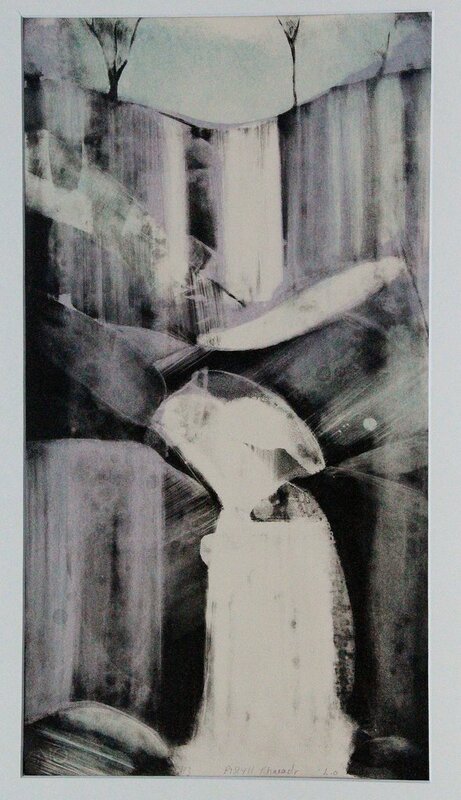 Negative Waterfall, Hafod 2015 – Stone lithograph with colour monotype. Pistyll Rhaeadr II 2015 – Stone lithograph with soap wash, acid tint and colour monotype.